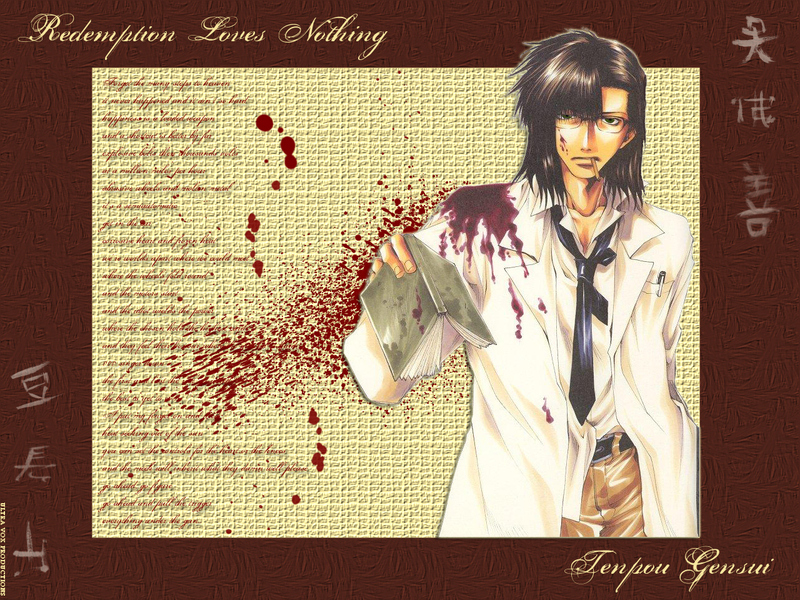 The 'Redemption Loves Nothing' Digital Art Collection returns with yet another adored Saiyuki Gaiden character! Featuring classic original artwork by the marvellously talented Kazuya Minekura, this second art work presents Tenpou Gensui (aka Cho Hakkai) blood splattered and elegantly wasted! Never without a book in those slender fingers and even a cigarette between his lips, Minekura has done if again with her outstanding illustrations. 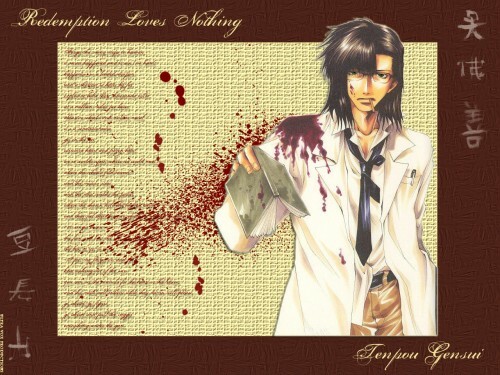 Saiyuki's most adored demon slayer returns and makes blood look beautiful! This artwork's construction features enhanced CG SFX, multi-layered brush work and image masking. 1) Please do not redesign or redistribute this wallpaper without my explicitly expressed written permission. 2) Feel free to download a copy for your own private use but please leave a comment to acknowledge the work first. Browse Saiyuki Gaiden Gallery: Recent | Popular. you're the real genius here, UV san! !